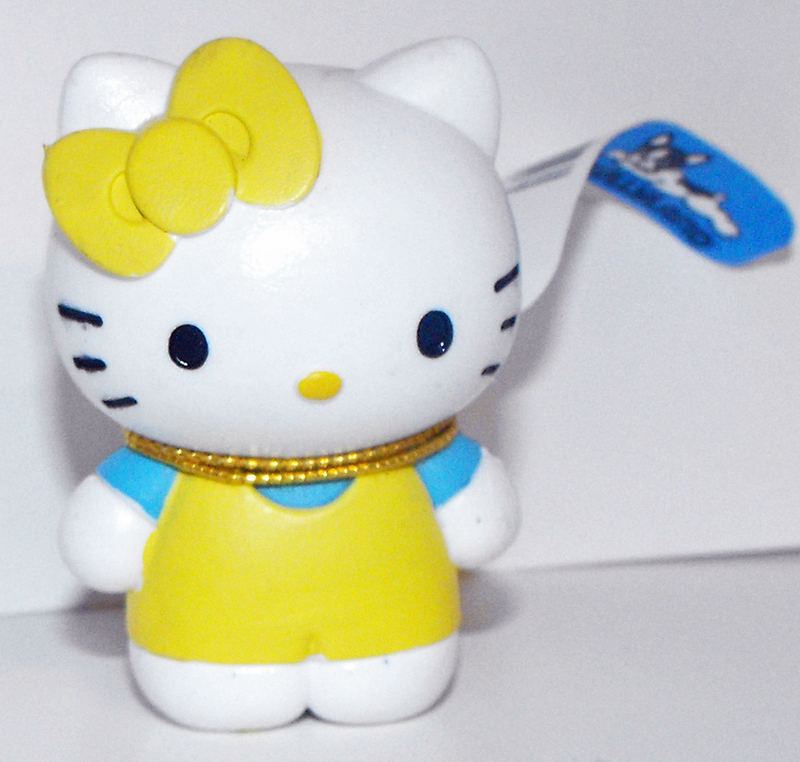 This Hello Kitty figurine in Yellow Outfit is 2 inches (5cm) tall by 1 1/4 inches wide and made of plastic. Made by Bullyland. Markings: 1978, 2003 Sanrio CE Bullyland Made in China.